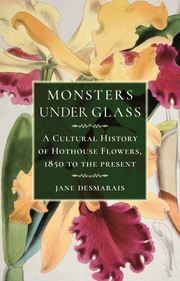 The title was “Monsters Under Glass: A Cultural History of Hothouse Flowers, 1850 to the Present” and I misinterpreted it completely. I’m sure you, like me, might have expected something about glasshouse plants and their cultivation but I was wrong and it was nothing of the sort but rather a study of literary metaphors and themes inspired by the growth in interest in hothouses (glasshouses) and the exotic plants they contained. Having said that, I found it an interesting read, giving a different insight – other than my prosaic, mundane, everyday view of growing plants – into how artists and writers have used and have drawn on hothouses and exotic plants both for inspiration and as a metaphor for life. 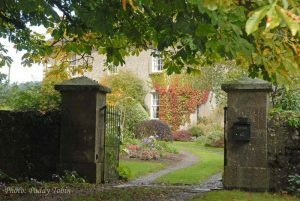 The interest in exotic plants and hothouses in the early 19th century stimulated the imagination of novelists, poets and artists and from the mid 1850s onwards we find increased references to them in literature, metaphors for a rapidly modernising and changing world, a place both alluring and dangerous. The hothouse was a jungle and it was a paradise; it was a place of order and disorder, a metaphor for life, sexuality, the pursuit of beauty and also the process of decay, death, rot and corruption. The most beautiful and exotic flowers were also tragic in their deterioration and decomposition. Gardens and glasshouses could be unhappy, fragile places and Mirbeau warns us that man is essentially cruel, a savage gardener with a penchant for destroying his environment and the hothouse flower became a decadent metaphor for cultural degeneration. The hothouse was seen variously as a place of safe containment or of dangerous confinement, a metaphor for overcrowded urban spaces. Orchids and lilies were seen as foreign and exotic, a metaphor for the seductive nature of the unknown, the excitement of exploration (and colonisation) and adventure. In the Decadent literature on the second half of the 19th century the hothouse was seen as a place both breathtakingly fragrant and toxic, a place where insatiable desire uncoils and rises up in all the terrifying aspects of human nature; a place of beauty and horror, the stuff of dreams and nightmares, the precursors of the triffids and vegetable monsters of literature and film. They reveal a fear of the foreign, of the stunning beauty of exotic blooms whose fragility hints at death and decay. Through the 19th century there was a growing fascination with botany, hothouses and exotic plants and artists and writers exploited this craze to attack the sentimentality of previous generations while those in the 20th century used the clichés of the hothouse and hothouse flowers to comment on the contradictions and complexities of modern existence. Nowadays, writers and artists are more comfortable with the strange fellowship of beauty and decay and not only incorporate decay, deformity and the grotesque in their work but revel in it – the monsters in the sacro bosco of Bomarzo are an excellent horticultural example. There’s no harm in making a mistake when selecting a book and it can sometimes, as in this case, lead to an interesting read and show a different insight into the world of plants and gardening.